With GrowthGenius handling prospecting, Fatima and her team had more time to focus on closing the deals coming in, and growing their business. Eighty-Eight is a communications agency focused on growing startups, technology firms, and large brands looking to reach those audiences. They focus on branding and storytelling — their core services are PR & media relations, influencer + content marketing campaigns, and branding + design projects. Eighty-Eight strives to find creative ways to tell your story. Fatima and her team had built Eighty-Eight into a leading communications agency. With great clients like PayPal, Lyft, Yellow Pages, and Telus, their business was growing through their network and referrals, but Fatima recognized that this kind of growth was slow and unpredictable. Fatima knew she would need to build out a more robust growth strategy but implementing and executing would be challenging and resource intensive, taking time and energy away from other important activities like servicing current clients and running the business. 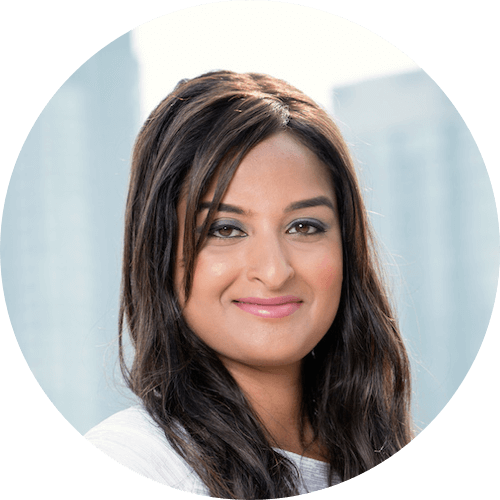 Prior to engaging GrowthGenius, Fatima deployed outbound activities such as using LinkedIn to reach prospects. She also used a number of inbound marketing strategies including hosting Lunch & Learns, demo days, speaking at events and writing for publications such as betakit. Eighty-Eight simply did not have the internal resources to generate the sales growth they wanted. Fatima’s time was needed elsewhere in the business, and hiring a sales rep meant training, managing, and investment. Ultimately, Fatima decided that GrowthGenius was the best choice. For a fraction of what it would cost to prospect in-house, GrowthGenius would manage the entire process while delivering great results. The engagement began with discovery and research. We spent time with the Eighty-Eight team, learning about their business, customers, and understanding their growth objectives. Eighty-Eight wanted sales meetings with marketing and communications decision makers at growing startups, technology firms, and large brands, so we built lists of thousands of contacts that fit this criteria. Then we designed highly personalized email cadences to create conversations with this audience, and began engaging them. In just a few weeks, Fatima had a steady flow of responses from ideal customers showing up in her inbox. She could now focus on mission critical business activities knowing that prospecting was being managed and optimized in the background. We generated 52 sales qualified leads over the 2.5 months of sending. We helped Eighty-Eight connect with Virgin, Goodlife Fitness and Kijiji, among many others. In addition to generating sales pipeline with ideal customers, we reduced costs and improve efficiencies in their sales process. Eighty-Eight no longer needed to hire, train and manage a sale rep, and with GrowthGenius prospecting, Fatima could focus on sales meetings and closing deals.